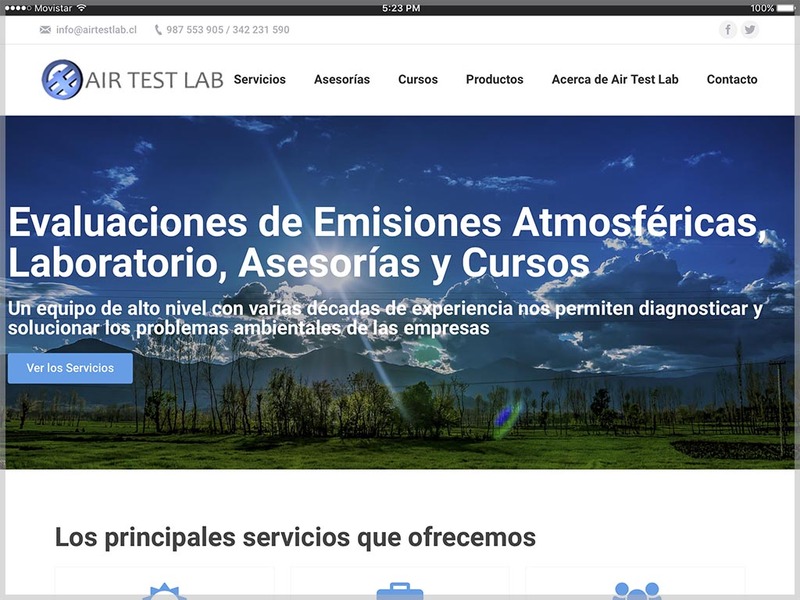 Air Test Lab is an air emissions laboratory located in Valparai­so, Chile. It is a subsidiary company of Hidrolab Toro y Consultores, a Venezuelan calibration laboratory. They required a website where they could display the different services they offer, with extensive information, to meet the needs of their customers. In addition, it includes a section of products in which are published 3 presentations of distilled water for laboratories, that they distribute in Chile.